Enable young people (and those who support them) to use the new SEN Law to get the right educational support. Pilot a service specifically for young people (using volunteers who have completed this training). The Children and Families Act 2014, including the special educational needs (SEN) and Disability Code of Practice 2015, replaced the old SEN Law. The old Law dealt primarily with the entitlements of children. The new law is also about children but it also includes a new definition; that of a “young person”. The new SEN Law benefits children and young people from the ages of 0 – 25. The new definition of “young person” covers those aged 16 to 25 years old. Increasing the number of young people from economically disadvantaged areas of Northern Ireland that take part in the Citizenship Foundation’s Bar Mock Trial. Increasing the number of young people from economically disadvantaged backgrounds in Northern Ireland that can take part in the Citizenship Foundation’s Lawyers in Schools programme. Increasing the number of young people at Integrated Colleges in Northern Ireland who take part in Bar Mock Trials and Lawyers in Schools. Establish a second Bar Mock Trials heat in a Derry in 2016 to; make it more accessible to more schools and colleges, build on the experience of and learnings from the second Belfast heat 2015 of Bar Mock Trials and build a sustainable model for the future. Deliver 12 Lawyers in Schools sessions at a school or college in Northern Ireland that draws its students from both Catholic and Protestant communities in an area of economic disadvantage – with the objective of building a self-sustaining Lawyers in Schools programme in Northern Ireland. MORR will be a pioneering major national programme designed to inspire disadvantaged young people’s participation in public legal education and PLE-related social action activities to increase their own and others’ legal capability. MORR will foster opportunities for young people (aged 15-24) to develop the knowledge, skills and attitudes needed to engage in civic society as informed and responsible citizens; supporting them to become forces for change by giving them a voice to shape a society in which the law is seen by them and others as a tool for tackling everyday problems. MORR’s vision includes a cultural shift so that public services and the wider community see the value of young people understanding their legal rights. The aim is to get local communities to encourage and support young people to understand and exercise their rights and responsibilities as emerging adult citizens. Working in partnership with a network of carefully selected front-line legal and youth agencies across England, Youth Access will lead the development and implementation of this unique and innovative national project. MORR will harness an unrivalled breadth of expertise from across the youth and legal sectors coupled with reach to young people across a wide number of communities. Produce 4 short films in partnership with other organisations. Promoting an understanding of legal rights to young people, including accessing advice, having confidence to challenge, knowing and using your rights effectively. The films tackle issues affecting young people; homelessness and problems with the private/social housing sector. 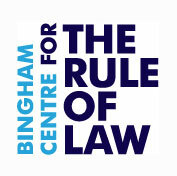 Offering clear advice, educating on the law and signposting towards other organisations. 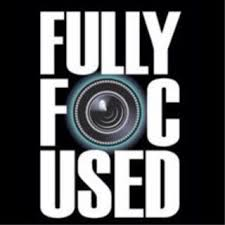 The films will be shown on Fully Focused’s youtube channel which young people access via their various devices, widening the messages reach. There will also be a 25 date youth-led screening/Q&A tour promoting the films, visiting universities, colleges, schools, youth groups, young offender facilities, care homes, homeless shelters and organisations like Centrepoint. Educating young people and hard-to-reach groups on their rights, sparking debates which can be captured and shared as an evidence base for legal education and service bodies. The films will be produced in consultation with Fully Focused young team who have experienced the housing sector/homelessness. Pooling ideas from their real accounts and combining with partners' evidence to develop creative briefs for how films will look and how key messages feature to achieve best outcomes. Facilitate getting what all children and young people with SEN are legally entitled to. Provide new ways for IPSEA to measure improvements in legal capacity. IPSEA will use experts to help with this project in order to ensure that it is drawing on cutting edge information and communications technology and proven experience to future-proof our work. These experts will work with IPSEA’s staff, volunteers and beneficiaries in order to ensure that they are involved in these developments. They will also work to define the IT functionality that is needed now and in the future before researching options and then preparing a specification report. This is funding to produce a further 500 copies of materials for the Law and Justice component of the Citizenship Curriculum Stage 3 in order to meet requests from schools. Originally a pilot programme was undertaken with 8 schools, 25 teachers and 600 pupils. The resources produced received the quality mark from the Association of Citizenship Teachers (ACT). However, in order to meet demand from schools there is a need to print a further 500 copies of the materials. 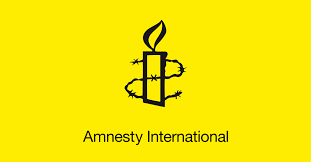 This project aims to develop a secure, engaging and fit for purpose online resource area and community for Amnesty's network of School Speakers. The project is based on the premise that many in the community are children or grandchildren of a generation distrustful of the law and all its processes, which they saw as existing to protect “the other”. Northern Ireland’s new difficulty is that many in the Protestant/ Loyalist/ Unionist community believe that the law is not protecting their needs and interests. The project aims to help young people to understand these processes, and to invest confidence in alternative methods of resolving disputes. Demonstrate an impact on students which will allow models to transfer to other Integrated Colleges or Council Areas across Northern Ireland. Scope and create the THEMIS quality mark – this would be the first attempt in the UK to establish a quality assurance mark for PCLE resources. Extend the scope of the Law in Schools portal so that it can provide a brokerage mechanism and reliable access to secondary schools across the UK for any legal professional volunteering programme. Create the Law in Schools Writers’ Group. Develop and extend the resources available on the Law in Schools portal. 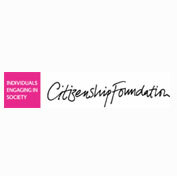 The Citizenship Foundation has been operating this programme for some years and now has 18 regional heats one of which takes place in Belfast, Northern Ireland. This funding will allow a second regional heat in Northern Ireland, in Derry/Londonderry concentrating on schools from the least advantaged areas and inter denominational work where possible and ensuring equal representation from both communities.